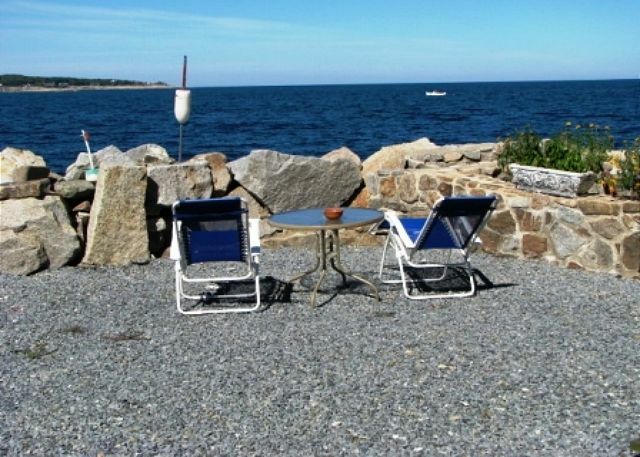 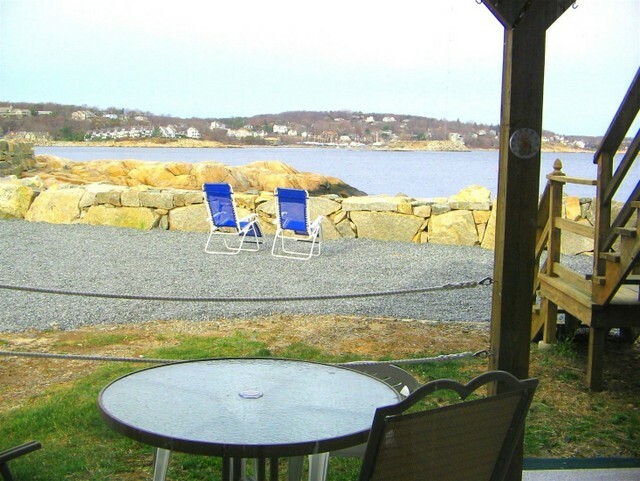 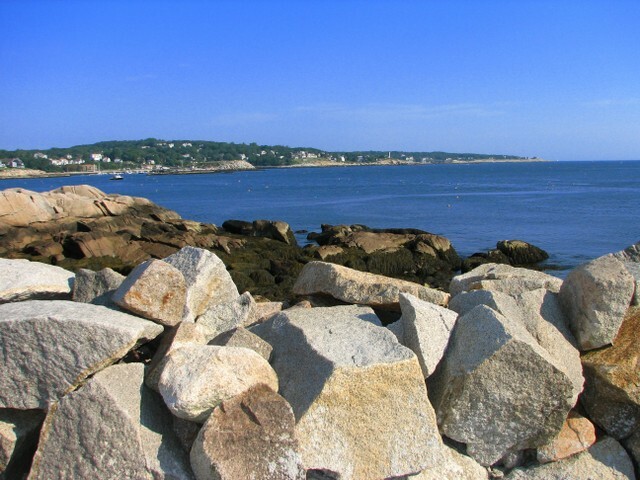 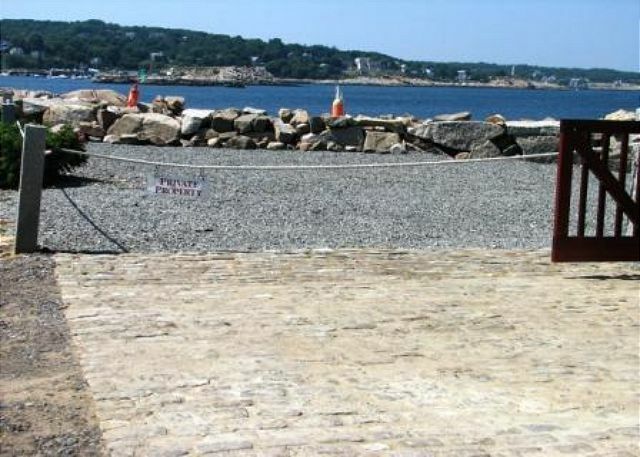 Tucked away behind Rockport's quaint shops and restaurants, the perfect oasis awaits you. 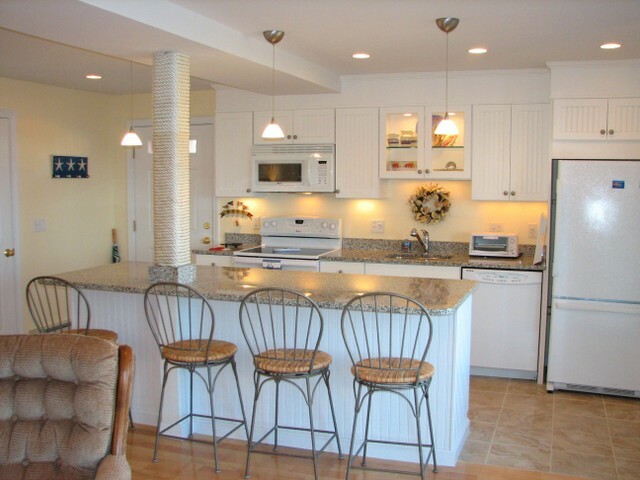 This beautifully renovated waterfront hideaway has everything you will need for your vacation--summer breezes, a quiet perch to enjoy magnificent sunsets over the water, in your beautiful ground floor condominium thoughtfully designed and decorated with top quality comforts. 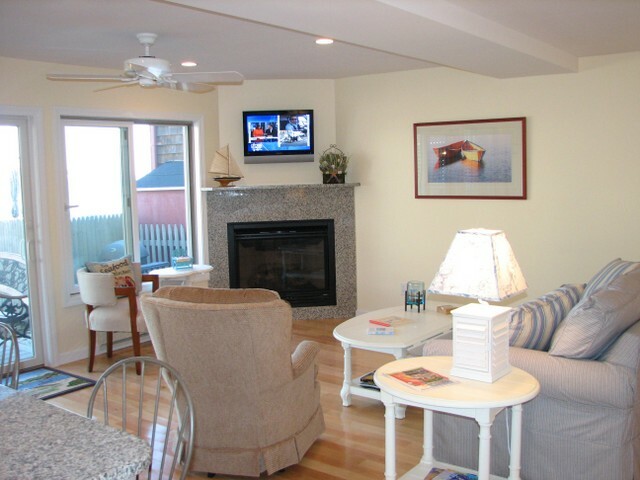 The unit has one bedroom with queen bed, a full bath, laundry, living room with pullout sofa (queen) and a granite kitchen with breakfast bar. 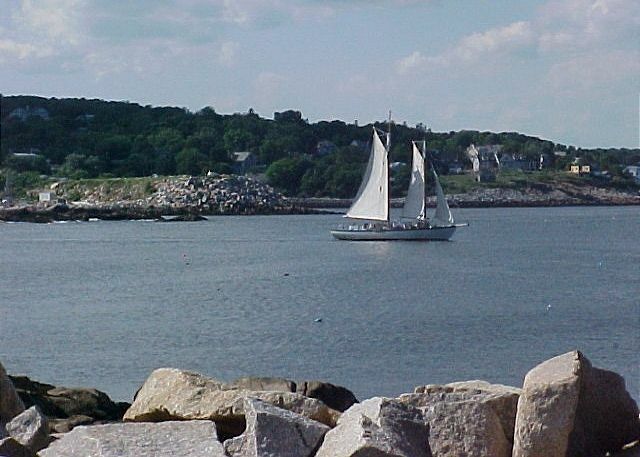 High speed internet access. 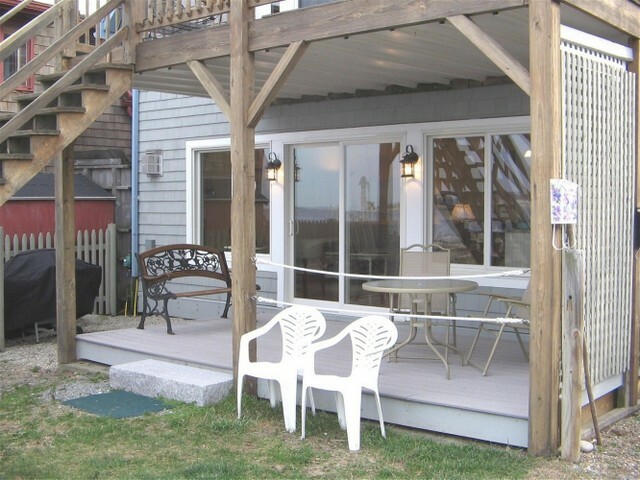 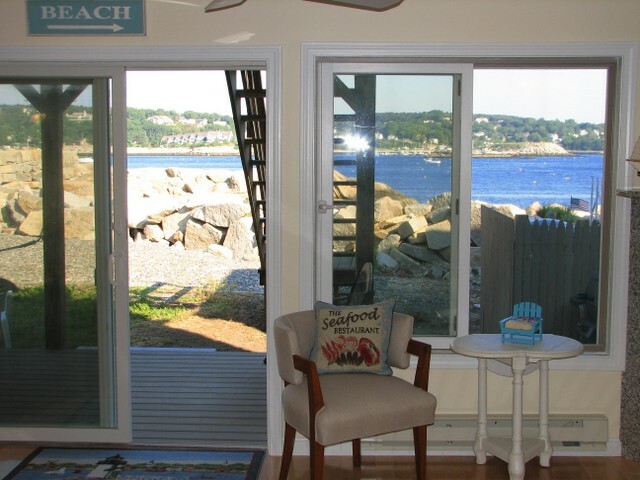 New sliding doors lead to the patio where lounging with the waterviews is a must. 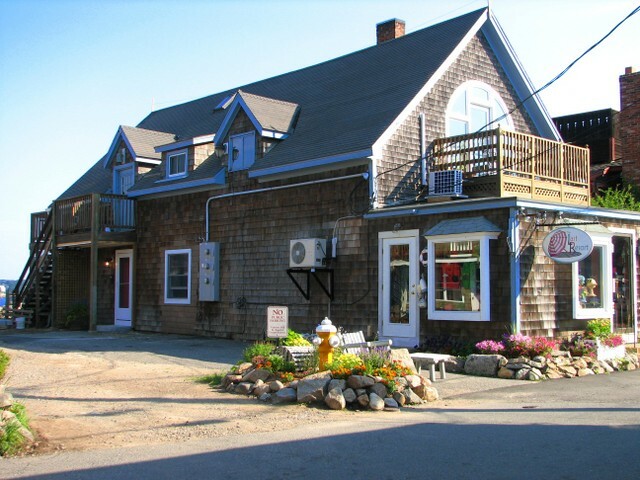 Tired of reading, walk out onto "the Neck" where you can chat with the locals, enjoy an ice cream, rent a kayak and enjoy some of the finest foods around. 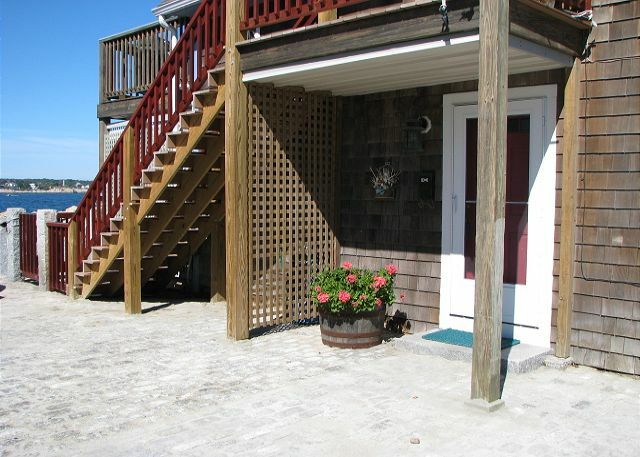 Off street parking for two cars is included, a rare commodity on "The Neck", making this the perfect summer/winter getaway. 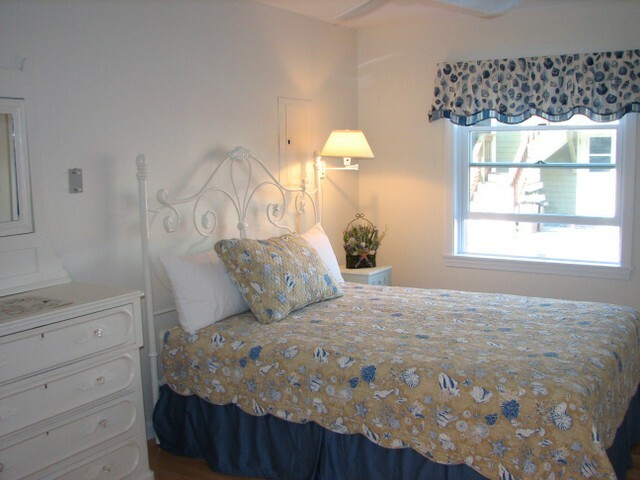 Call for off season special rates! 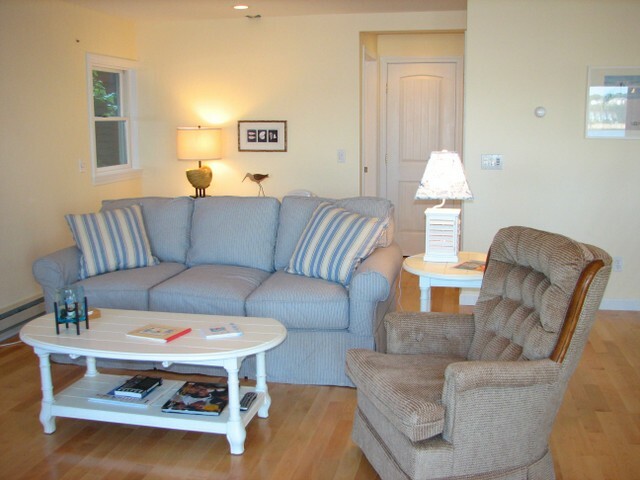 Rentals must be a minimum of one month in duration due to condo regulations. 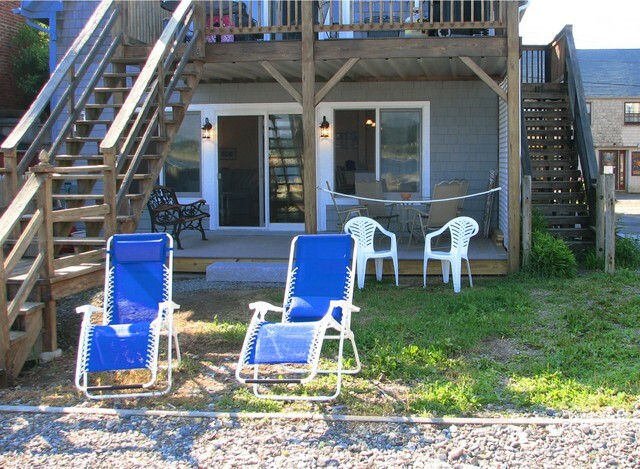 In order to reserve this property, please call your reservation specialist toll free at.